The genus Cicer comprises one cultivated species, the chickpea (Cicer arietinum), and 42 wild species. Cultivation dates back to at least the early Bronze Age. Chickpea probably originated in southeast Turkey. Chickpea is a relatively minor crop in the world market but is extremely important for local trade in several tropical and subtropical regions. It is grown and consumed in large quantities from southeast Asia to India and in the Middle East and Mediterranean regions. It ranks second in area and third in production among pulses worldwide. Chickpea has one of the best nutritional profiles of all the grain legumes, with none of the anti-nutritional or toxic factors often present in other legumes. Chickpea seeds contain an average of 23% protein and the crop meets up to 80% of its nitrogen requirements from symbiotic nitrogen fixation. The Russian botanist and geneticist Nikolai Vavilov identified four centers of diversity in the Mediterranean, Central Asia, the Near East and India, as well as a secondary center in Ethiopia. Chickpea is diploid and predominantly self-pollinated, although cross-pollination by insects sometimes occurs. Thirty-four of the wild relatives are perennials and the other nine are annuals. Desi types, found predominantly in India and Ethiopia, have small, angular, coloured seeds and a rough coat and are believed to be closer to the probable wild ancestor C. reticulatum. They have a bushy growth habit and blue-violet flowers. 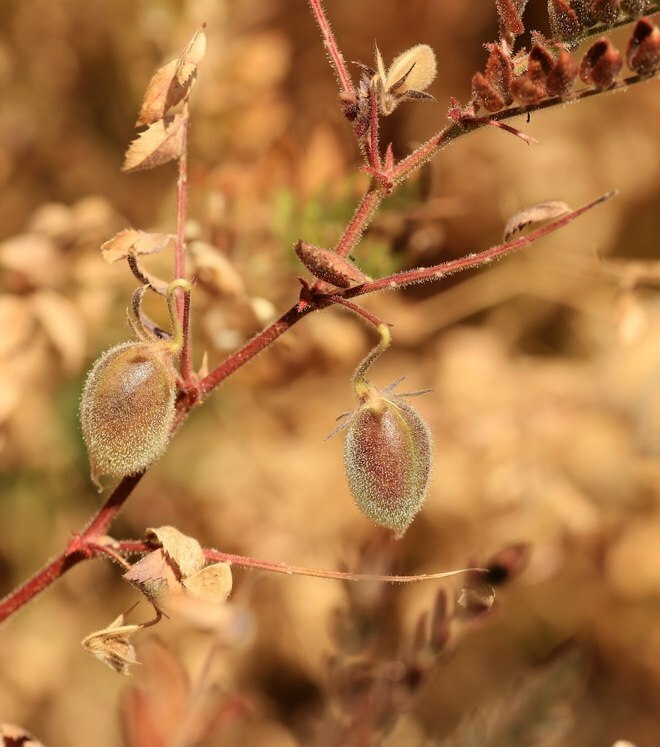 Kabuli types, predominantly grown in the Mediterranean region, have large, beige-coloured and owl-head shaped seeds with a smoother coat. Their plants have a more erect growth habit and white flowers. Three genepools have been proposed for Cicer species. The primary genepool (GP1) includes the cultivated species C. arietinum and two wild annual species, C. echinospermum and C. reticulatum, the probable wild ancestor. Some authors also group the perennial C. anatolicum with the primary genepool. The secondary genepool (GP2), the next closest, consists of three annual species, C. judaicum and C. pinnatifidum. The tertiary genepool (GP3), the most distantly related group, includes three annual species, C. yamashitae, C. chorassanicum and C. cuneatum, and 34 perennial species. Chickpea is generally stored as dried seed, with a moisture level of 5–7% to minimise seed deterioration. Cold storage, between –18°C and –22°C further prolongs the viability of the seed. Genebanks may maintain both a base collection and an active collection. A base collection is intended for long-term storage, 50 years or more, and is useful to monitor genetic changes over time and changes that may occur after several cycles of regeneration as a result of genetic drift. Base collections tend to hold smaller samples – 1500–2000 seeds for cultivated chickpea and 300 seeds for wild relatives – in sealed packages of layered aluminium foil. Active collections are available for distribution to breeders and other researchers and may be accessed frequently. They are intended to maintain viablility for at least 20 years. Samples are larger and are kept in rust-proof cans or plastic containers. 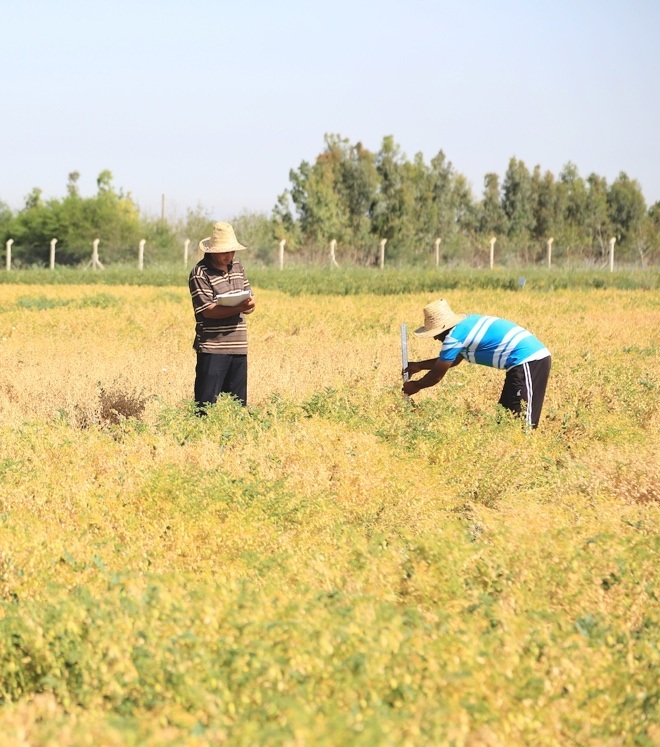 Chickpea collections include landraces, breeding material and wild species. The genebank at ICRISAT, Patancheru, India, holds more than 20,000 accessions from 60 countries, predominantly traditional cultivars and landraces. About 15,000 accessions are held by ICARDA, most of them breeding and research lines. It is estimated that more than 80,000 accessions are conserved in more than 30 genebanks worldwide. Fewer than 2% are wild species. Major collections (more than 5,000 accessions) are held at Australian temperate field crops collection, Victoria, Australia; NBPGR, New Delhi, India; Seed and Plant Improvement Institute, Iran; and USDA, USA. Ahmad F, Gaur PM, Croser J. 2005. Chickpea (Cicer arietinum L.). In: Singh RJ, Jauhar PP, editors. Genetic Resources, chromosome engineering, and crop improvement – Grain Legumes Vol. 1. CRC Press, USA. pp 187–217. Choumane W, Baum M. 2000. The use of RAPD markers for characterization of annual species of the genus Cicer. Annals of Agricultural Science (Cairo) 2:809–820. Hopf M. 1969. Plant remains and early farming in Jericho. In: Ucko P, Dimbleby GW, editors. The Domestication and Exploitation of Plants and Animals. London: Duckworth. pp 355–599. Ladizinsky G, Adler A. 1976. Genetic relationships among the annual species of Cicer L. Theoretical and Applied Genetics. 48:197–204. Purseglove JW. 1968. Cicer arietinum L. In: Tropical Crops. Dicotyledons. Longman Group Limited. London. pp. 246–250. Singh KB, Pundir RPS, Robertson LD, van Rheene HA, Singh U, Kelley TJ, Rao PP, Johansen C, Saxena NP. 1997. Chickpea. In: Fuccillo D, Sears L, Stapleton P, editors. Biodiversity in Trust. Cambridge University Press. pp. 100–113. Contributors: ICRISAT, Patancheru, India (Hari D Upadhyaya, Shivali Sharma, Cholenahalli L Laxmipathi Gowda, Dintyala Sastry, Sube Singh); NBPGR, New Delhi, India (Shyam Sharma); ICARDA, Aleppo, Syria (Ahmed Amri, Kenneth Street, Natalya Rukhkyan), SARC-RIPP, Piestany, Slovak Republic (Gabriela Antalikova); Institute of Plant Genetic Resources ‘K. Malkov’, Sadovo, Bulgaria (Siyka Stoyanova); Department of Primary Industries, Victoria, Australia (Bob Redden); IPK, Gatersleben, Germany (Andreas Börner). External reviewer: Shyam Yadav (Momase Regional Research Centre, Papua New Guinea). Information on current practices for genebank management of chickpea was lead by ICRISAT, Patancheru, India in collaboration with Bioversity International. Current genebank practices and accumulated experience were gathered from six other genebanks or institutions holding collections of chickpea germplasm, including ICARDA, Aleppo, Syria; NBPGR, New Delhi, India; SARC-RIPP, Piestany, Slovak Republic; Institute of Plant Genetic Resources ‘K. Malkov’, Sadovo, Bulgaria; Department of Primary Industries, Victoria, Australia; and IPK, Gatersleben, Germany.